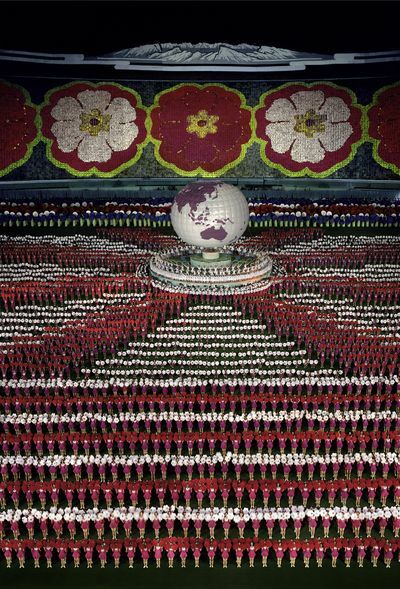 The Museum Frieder Burda is presenting an Andreas Gursky exhibition. The most renowned German photographer of his generation who captures the crowds and never ending modern constructions is honored by a solo show that retraces his flamboyant carrier. Formed by the photographer couple Bernd and Hilla Becher, Gursky raised from the realist Dusseldorf school of photography. He soon made a name for himself with his catching pictures that note the ever growing 21st century society. In 2007 and 2011, he marked the history of art buy selling two of his photographs, ’99 Cent II Diptych’ and ‘Rhein II’ to prices never seen before for a photographic work. Thus raising once and for all the photograph medium to the range of Fine Art. Gursky is devoted to always colorful gigantic scale photograph with implacable definition. Single shoot or multiple ones, as for the ‘Paris, Montparnasse’ (1993) piece, the German artist excels in the depiction of the human reproduction. Whether it is of their own race or of their structures.